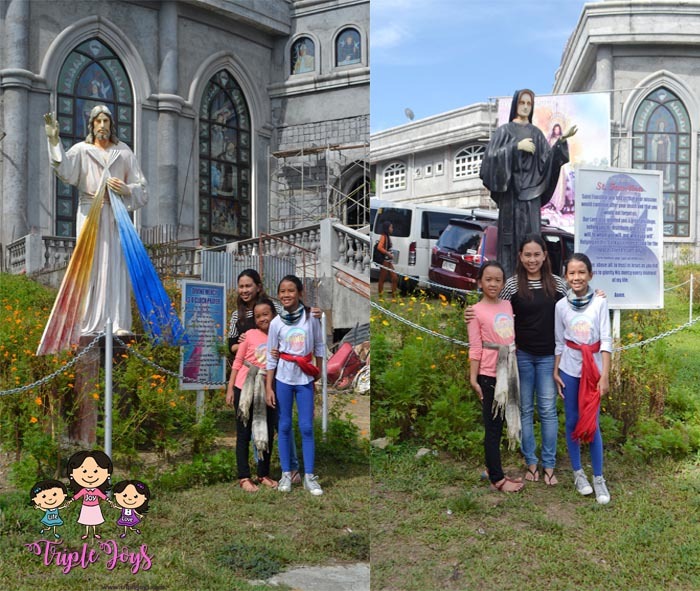 Our Series of Bicol Funventure - Kawa-Kawa Hills Natural Park & Shrine of Divine Mercy (Day 1, Part 1) - Triple Joys!!! Bicol is another place in my bucket list that I really wanted to explore, first and foremost, because I wanted to personally see the perfect cone shape of the Mayon Volcano! And so for our 11th Year Anniversary, I decided to finally make this dream come true. Initially, I was considering to plan the trip on our own. I have considered air travel, bus travel, and even train travel, but I cannot seem to decide on what transportation to avail. 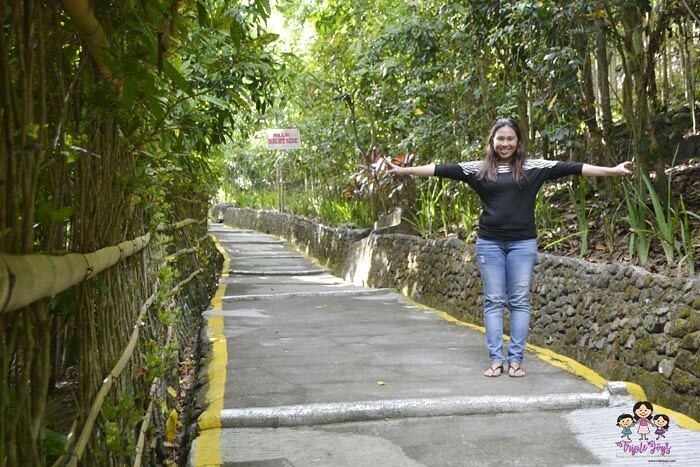 I have also made some researches on what places to visit in Bicol and where to stay for the duration of our adventure, then I came across this deal in Metrodeal - a 3 days and 2 nights Bicolandia Tour by McTrail Travel and Tours. And voila, we already had a ready-made tour! I do not have to worry about any details any more as the tour company had already planned it out! Yey! The tour costs around three thousand plus per person. 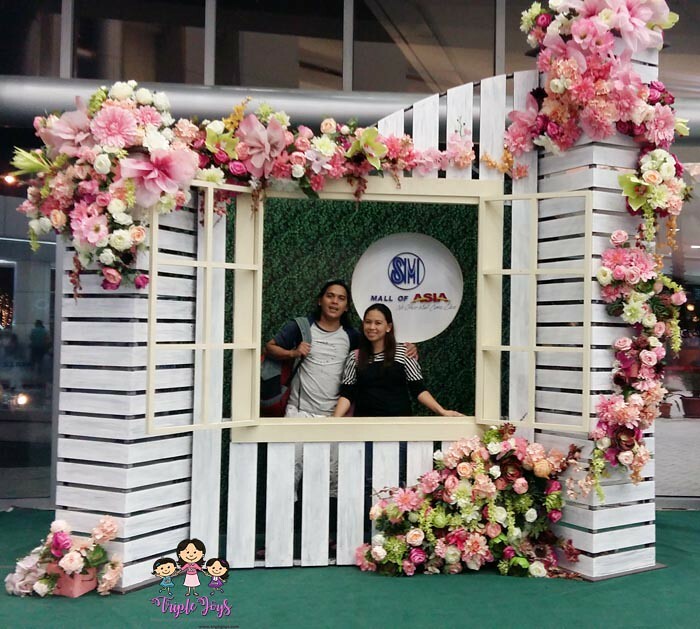 May 19, around past ten in the evening when we joined our group at SMX, Mall of Asia. We boarded the van, and as we were already the last group that they'll be picking, the van was set to start the travel! It's a long travel, with a short coffee and comfort stop a long the way. 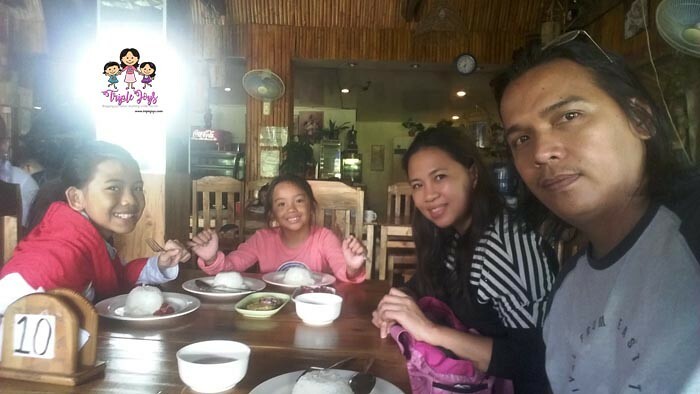 We have finally arrived in Ligao City at around five to six in the morning where we had our breakfast in "Kainan sa Gulod". 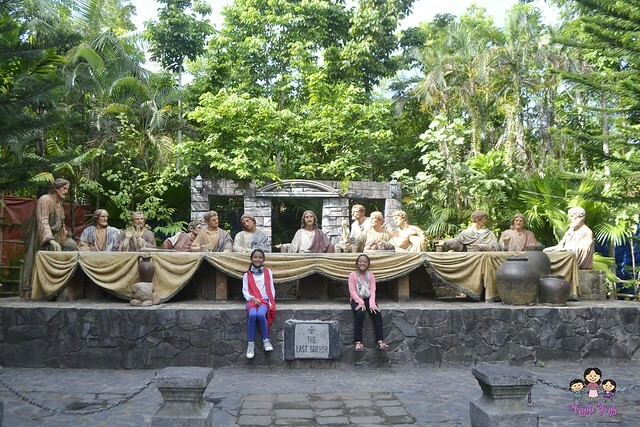 Our first meal in Bicol! After breakfast, our tour officially started. Yey! 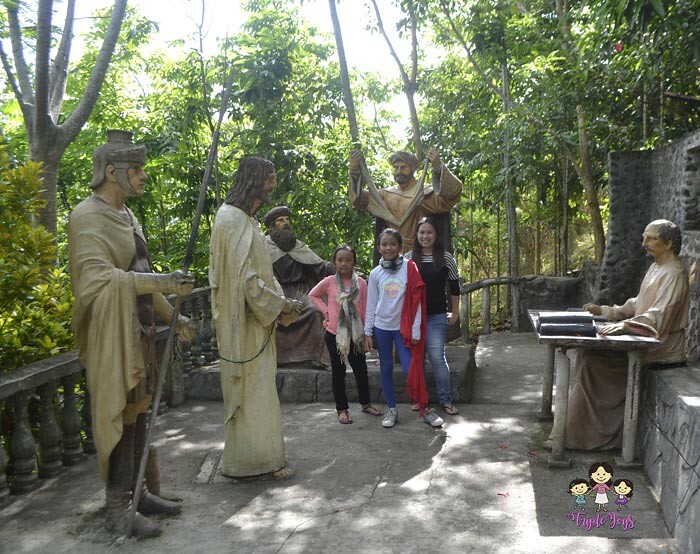 Our first stop was the Kawa-Kawa Hills and the Shrine of Divine Mercy. 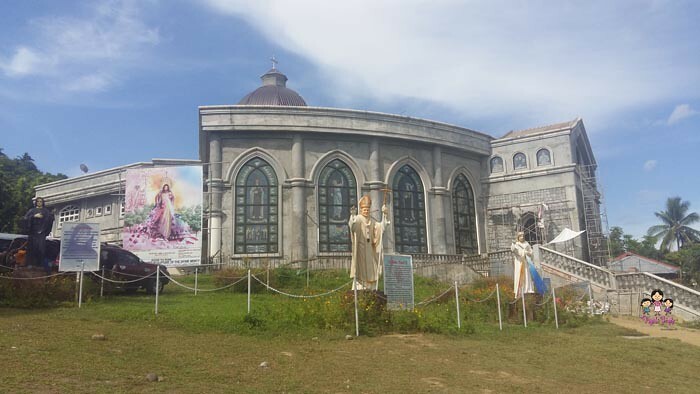 Many pilgrims are now visiting this site because of the life-sized images of the Stations of the Cross. 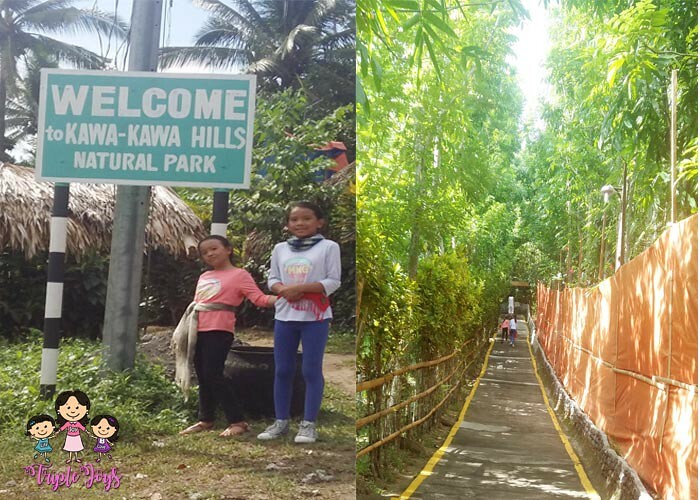 And up we go to climb the famous Kawa-Kawa Hills. By the way, Kawa-kawa Hills is named as such because its shape looks like a cauldron (kawa or kaldero in tagalog). 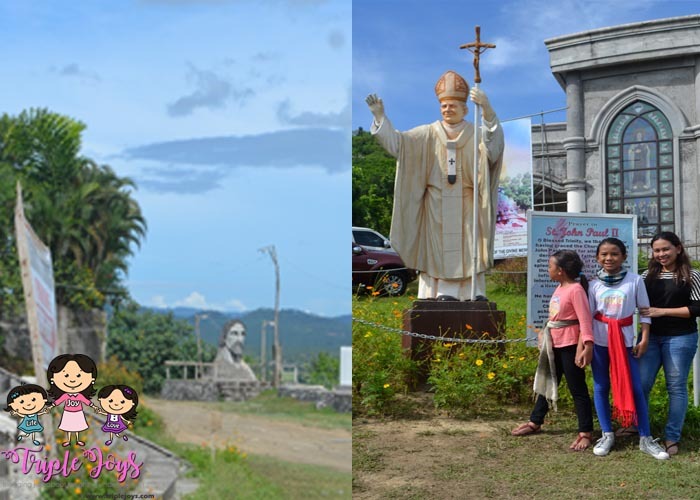 I was really excited to climb the hill to see the life-sized images of the station of the cross and to see the beautiful site on top of the hill. But we were only starting when my two daughters started to get exhausted. And so, as much as I still wanna climb the hill, we already had to go back. 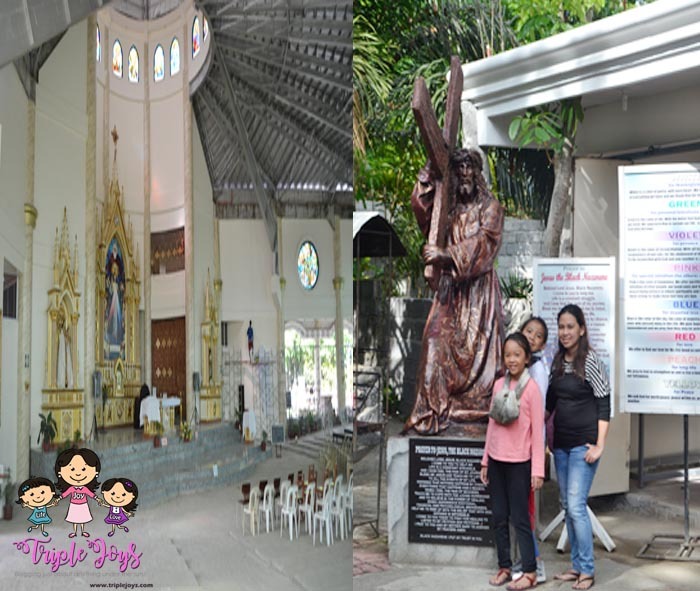 At the foot of the hill is the Shrine of Divine Mercy. During our visit, it was still under construction, but maybe it is fully done by now. 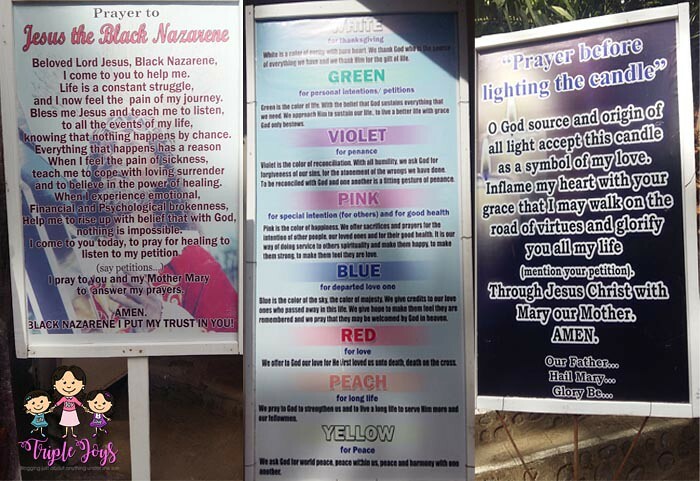 Outside the shrine are life-sized religious images can be found. 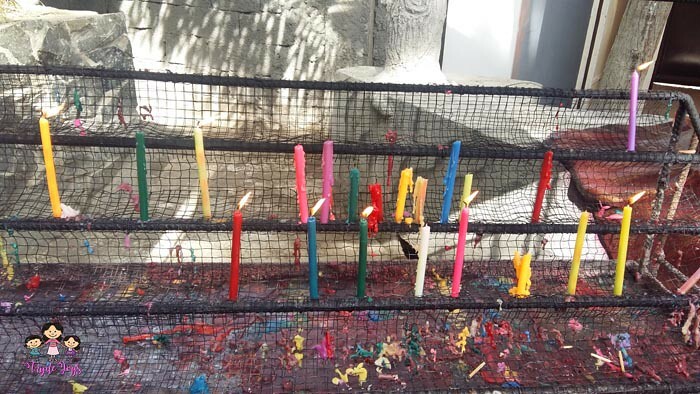 Oops, before lighting those candles, be sure to read the instructions first so that you will know what candle to light for a specific prayer intention. 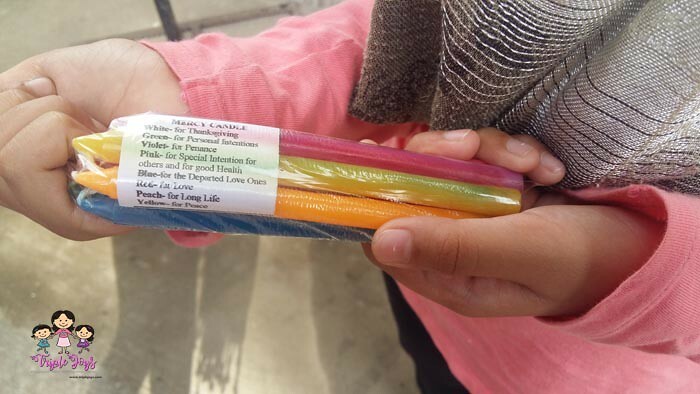 Red for love, pink for , good health, violet for penance, green for personal intentions, white for thanksgiving, blue for a departed loved one and peach for long life. 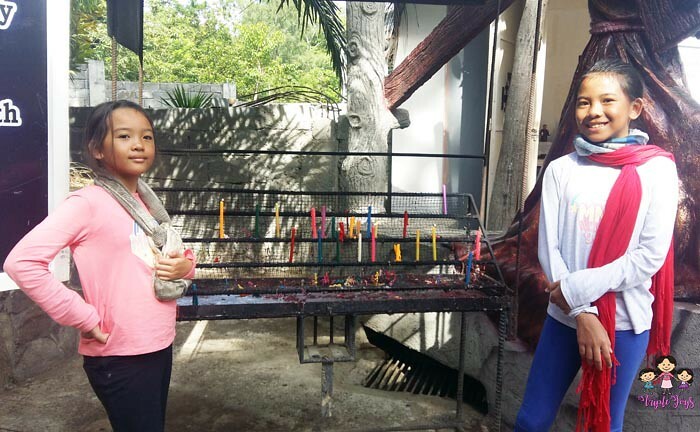 But before lighting that candle, do not forget to say the prayer first. 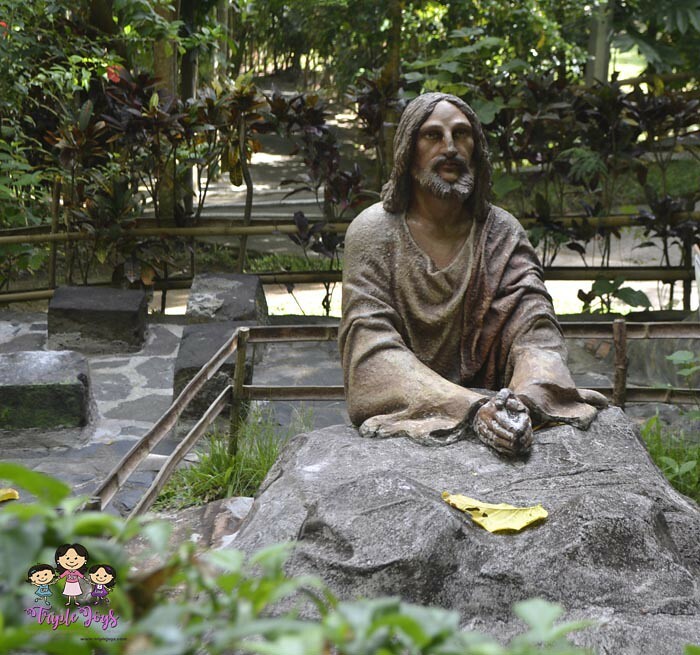 I know that there are still much to see at the Kawa-Kawa Hill such as the Sunflower garden and the rest of the images of the Stations of the Cross. Also, according to some posts, there are also many activities on top, such as an ATV ride. So, I guess, I have enough reasons to come back and finally explore the whole Kawa-Kawa Hill! Hopefully, soon! 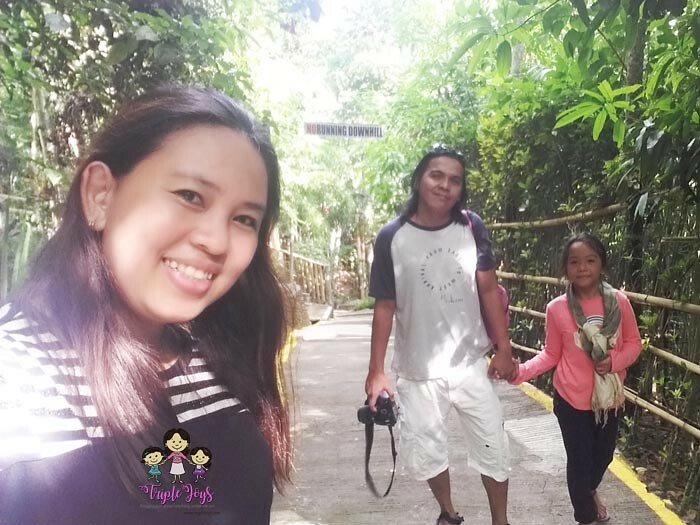 This is a very nice travel blog, Is it a group tour or a private tour package? 3,000 PHP/person is so cheap for 3 days and 2 nights, it's a really good deal.